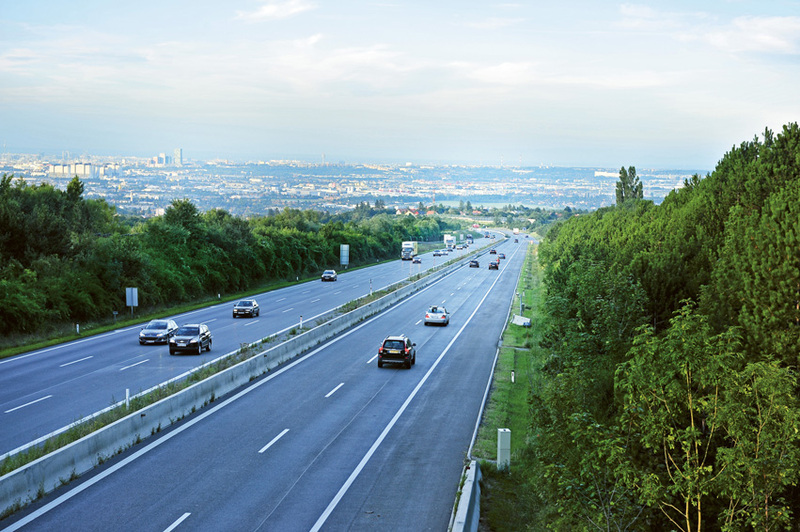 ASFINAG funds, builds, operates, maintains and tolls 2,200 kilometres of motorways and expressways in Austria. Consulted by Hauska & Partner and grounded in the client’s vision that already includes the triple bottom line, a sustainability program was developed that balances the various and sometimes contradictory demands ASFINAG is confronted with. It combines contributions to the Austrian business location with respect to the environment and a future-oriented mobility, based on valuing the company’s stakeholders. To determine the material issues, the stakeholder’s expectations and ASFINAG’s impacts were combined with external guidance and visions like the SDG. 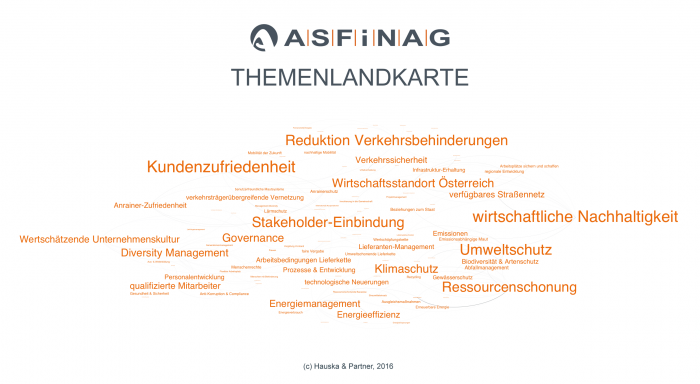 The resulting issues map built the basis of the sustainability report 2015 Hauska & Partner developed for ASFINAG. 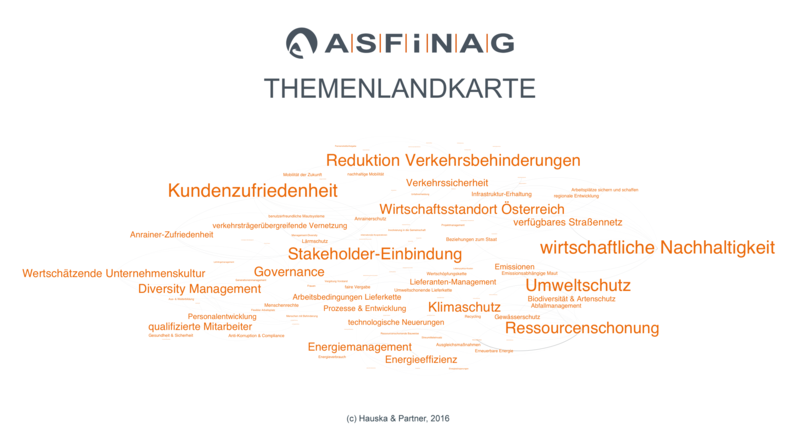 ASFINAG provides an efficient road network that is not only essential for the mobility of the population, but also contributes substantially towards promoting Austria’s competitiveness and providing an important boost to the employment market and the economy as a whole. Now it has a sustainability program based on a materiality analysis. This evaluation also showed the company’s biggest impacts and upcoming fields of action. The sustainability report assembles those efforts and reveals strategies and targets, successes and room for improvement of this company, giving it’s stakeholders a transparent, thorough insight.